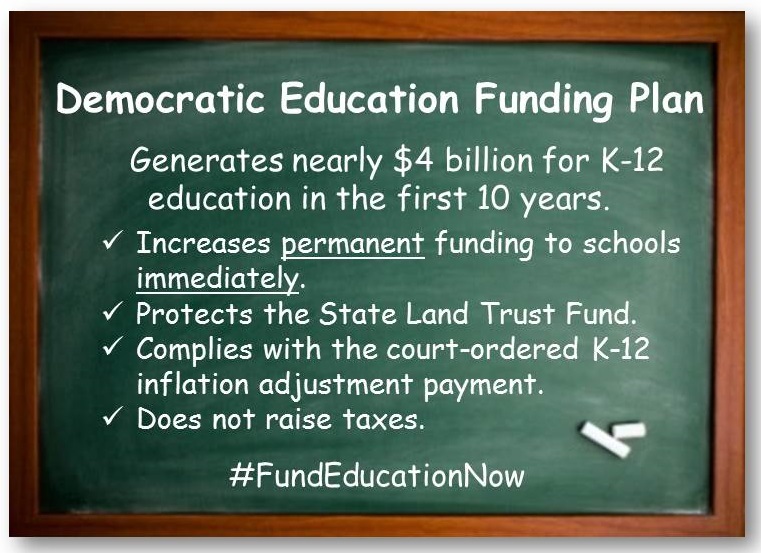 The Democratic plan provides sustainable funding, unlike other proposals that would create a shortfall in funding for future generations. 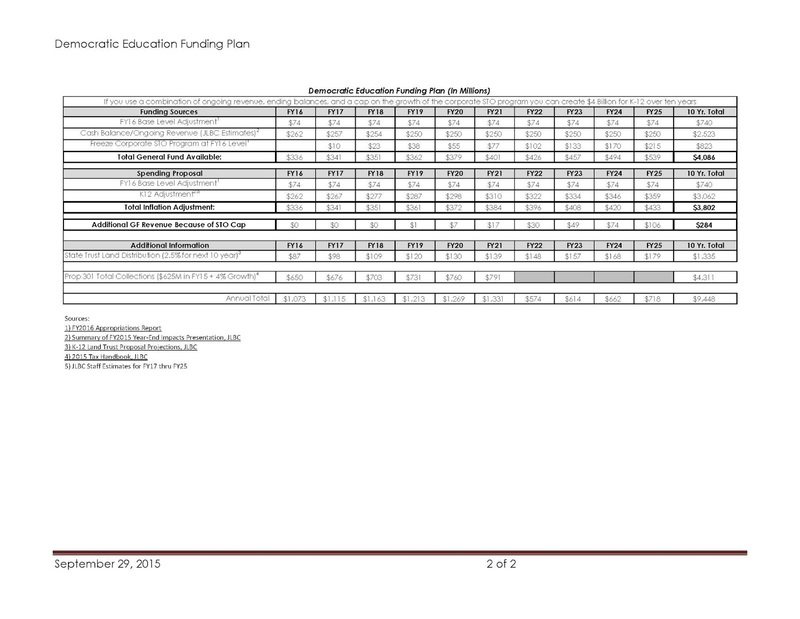 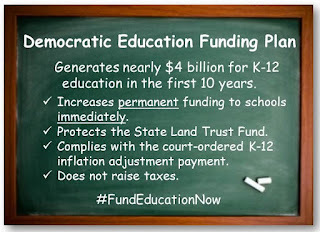 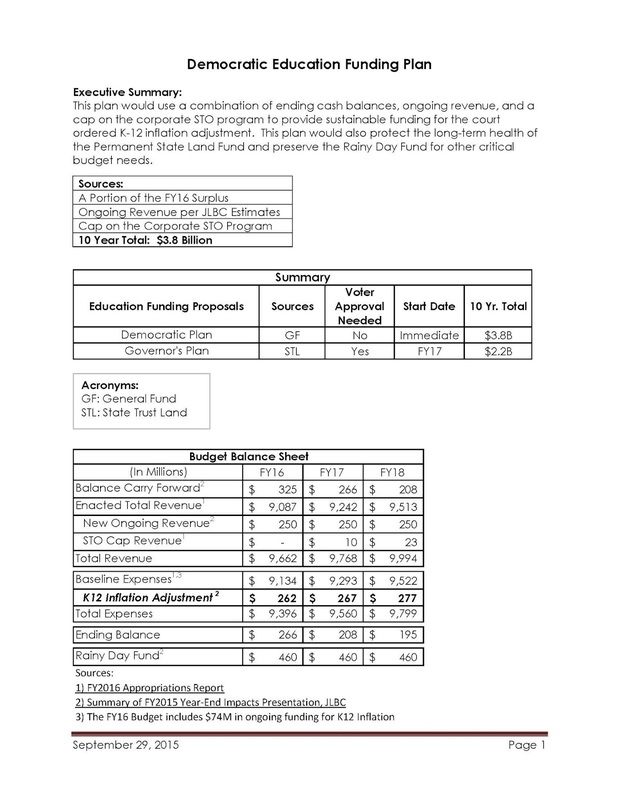 Below is a full 10-year analysis of the Democratic education funding plan. 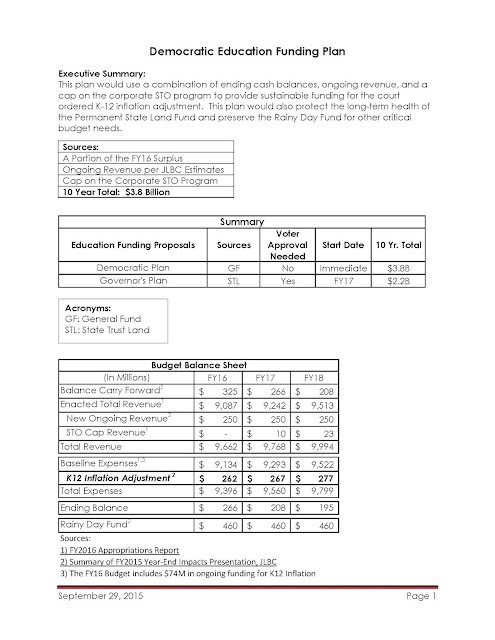 The devil is in the details but this on first read sure is a better deal than that the governor has proposed to date.